At ACCESS, our mission is to provide musicians with innovative, high quality products that satisfy their needs at every stage of their musical journey. 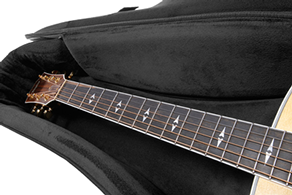 ACCESS makes the finest bags, cases and accessories for stringed instruments at every level of price point and quality. ACCESS utilizes proprietary HardCell™ technology in Hard Bags to provide impact resistance, shock absorption and a penetration barrier that rivals hard shell cases. ACCESS cases improve on traditional hard shell case designs with purpose-built plywood shells, shock absorbing interiors, roadworthy exteriors and heavy-duty hardware. ACCESS Bags and Cases evolved from years of experience designing and producing products for many of the Music Products Industry’s leading brands. Chances are you own and use music accessory products made by ACCESS for one of our many OEM (Original Equipment Manufacturer) partners. The same focus on quality, value and innovation that’s guided our OEM manufacturing for more than 25 years is the cornerstone of every ACCESS product. 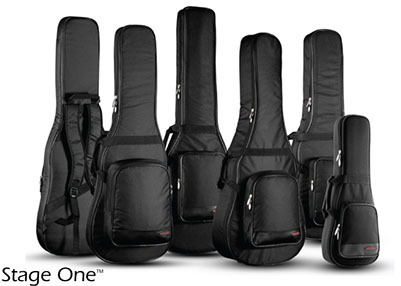 ACCESS bags, cases and guitar accessories are designed and built to deliver years of premium protection and utility. We back up that claim with a limited-lifetime warranty against defects in manufacturing and materials. ACCESS Stage Three Hard Bags feature a hybrid composite shell made of HardCell high-density foam and solid polymer panels for best-in-class protection and utility. 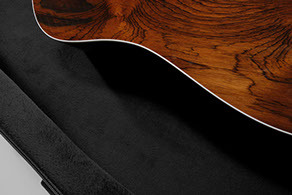 High quality woven and plush polyester interiors last longer and won’t scratch instrument finishes like PVC material. Nylon hardware patches protect interior against abrasion from hardware and guitar strings. 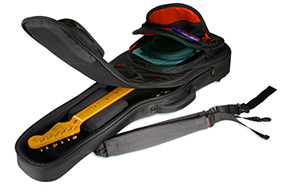 MicroBall™ neck pillow (Stage Three HB) conforms to guitar neck shapes and absorbs shock from impacts. The heavy-duty exterior vinyl covering on Stage Series cases is specifically formulated to resist abrasion, cuts, cracking and day-to-day wear and tear. Our exclusive exterior covering is bonded with CoverRing™, a process that joins and fuses the seam for strength and is more visually appealing than a conventional overlapping glue seam. fabric lines the interior of every ACCESS hard case. 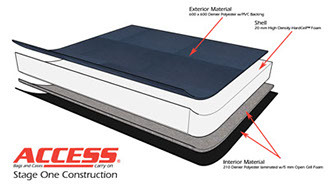 foam panels provide superior protection and optimum fit. accessory compartment lids to prevent neck damage. 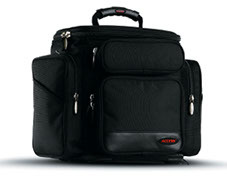 The newest member of the ACCESS Hard Bag family is UpStart: Entry-level bags with backbone. UpStart bags literally standup to the status quo of flimsy, limp beginner guitar bags. Like all ACCESS HB Hard Bags, UpStart utilizes our rigid HardCell™ high-density foam core to give it form and function like no other. ACCESS Stage One bags are all about protection and value. 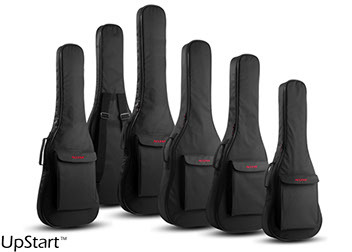 The heart and soul of every Stage One bag is its thick HardCell™ high-density foam shell. HardCell out performs more commonly used open-cell ‘sponge’ foams by every measure: shock absorption, thermal insulation and resistance to impact, puncture and moisture. Stage One Hard Bags delivery that perfect blend of lightweight utility and heavy-duty protection and features at a price that every player can afford. 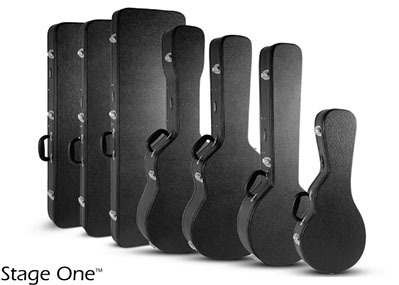 Stage One Hard Bags are available in the following models: Dreadnaught Acoustic (AB1DA1), Smallbody Acoustic (AB1SA1), 3/4-sized Acoustic (AB1341), Banjo (AB1BJ1), Mandolin (AB1MN1), Ukulele (AB1UL1), Electric Guitar (AB1EG1), 335-style Electric (AB1ES1), Electric Bass (AB1EB1). ACCESS pioneered the hybrid bag category with the introduction of Stage Three in 2004. We refer to our hybrid bags as Hard Bags because they combine the superior shock absorption of heavily padded bags with the solid hard shell protection of cases. Beneath Stage Three’s boutique luggage-grade exterior lurks a composite shell that blends HardCell high-density foam with solid polymer panels. 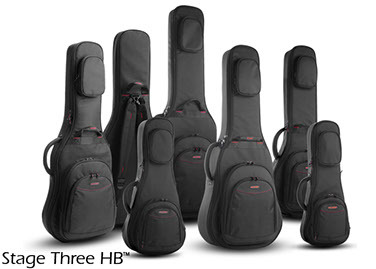 Stage Three HB Hard Bags are available in the following models: Dreadnaught Acoustic (AB3DAHB), Smallbody Acoustic (AB3SAHB), Banjo (AB3BJHB), Mandolin (AB3MNHB), Electric Guitar (AB3EGHB), Double Electric Guitar (AB3DGHB), 335-style Electric (AB3ESHB), Electric Bass (AB3EBHB), Double Electric Bass (AB3DBHB). 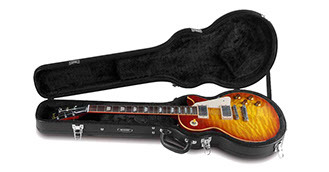 Designed in 1986, the original ACCESS bag is still the undisputed champ for transporting a musician’s tools of the trade. The PFX1 Musician’s Carry-all incorporates a custom configurable tri-level interior, each with its own entry flap, an iPad sleeve and and four exterior pockets. Dubbed by many “The Ultimate Roadie Bag”, PFX1 organizes all of the necessary accessories working players and techs depend on in the field and on the gig. 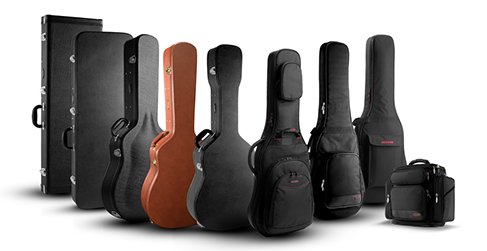 ACCESS leverages the scope and scale of its global OEM music products division to produce Stage One entry-level guitar cases to a higher standard—ours. 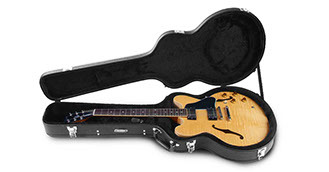 At time when top shelf guitar brands are offering high dollar cases made of particle board, ACCESS Stage One hard case shells use proprietary 3-ply cross-grain plywood. All Interior and exterior materials and hardware is manufactured to our specifications. 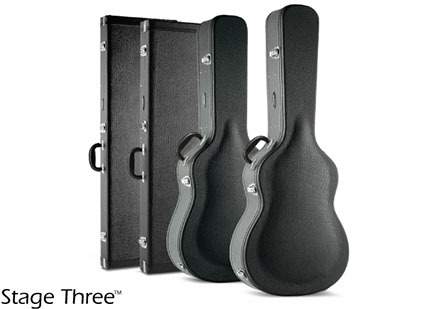 Any of the world’s leading guitars makers, big and small alike, use OEM versions of our Stage Three Hard Cases for two reasons: quality and value. Stage Three shells are formed from proprietary 5-ply plywood with an unmatched strength-to-weight ratio. Super tough exterior vinyl covering resists cuts and scrapes and keeps the elements at bay. 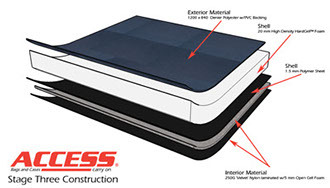 A plush nylon interior covers a bed of thick foam padding augmented with our exclusive HardCell foam. 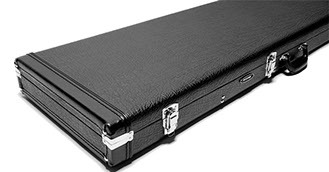 And our heavy-duty hardware insures that every Stage Three hard case is safe and sound. Access Bags & Cases Europe is a joint venture between Access and FACE.